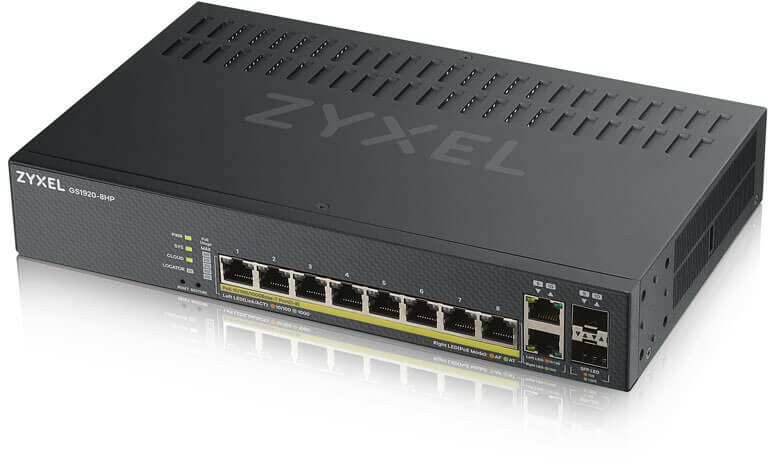 The Zyxel GS1920v2 Smart Managed Switch Series introduces Zyxel NebulaFlex™ that allows you to easily switch between standalone and our license-free Nebula cloud management platform anytime with just a few simple clicks. 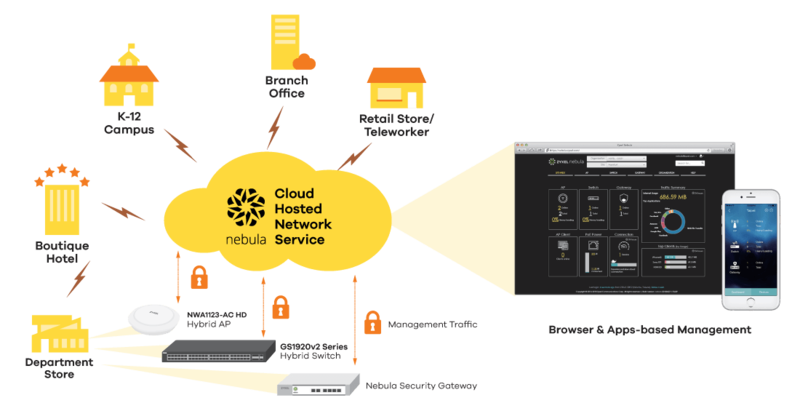 The NebulaFlex™ protects your investment on wired technology by offering the flexibility to transition to the cloud in your own time, without worrying about additional ongoing licensing costs. Taking advantage of Nebula, you can centrally manage and access realtime network information to have effortless control over the GS1920v2 Smart Managed switches and other Hybrid and Nebula devices – all under a single intuitive platform without the need to install any software. Still like the standalone style? With rich L2 features such as LACP, advanced QoS, VLAN, ACL and multicast IGMP snooping, the GS1920v2 Series offers intuitive web-based interface for those who still stick on standalone management to access them without learning complex command-line interface (CLI). Additionally, the GS1920v2 Series is also part of the Zyxel One Network, which means that you can use the complimentary ZON Utility to easily perform repetitive operations during the deployment phases. What’s the benefit of Cloud central management? When you’re ready to join our Nebula cloud management solution, simply register your GS1920v2 Series via the Nebula Control Center (NCC); the device automatically joins, provisions and begins to give real-time information. The intuitive platform allows your switches to form a group, controlled centrally and gain access to diagnostics tools all under a single platform. The Nebula platform does not limit the number of your switches to be added, giving you an easy-to-use, scalable platform to access anytime, anywhere. What’s more, the Nebula offers a mobile app for you to register hundreds of devices quickly on NCC with the built-in QR code scanner as well as to monitor the real-time network status. The GS1920v2 Series includes fanless and built-in smart fan models. The smart fan is designed to automatically adjust speeds based on the device temperature, starting at 26 dBA max at 25°C ambient with GS1920-48v2. You can barely hear the sound while the GS1920v2 Series is working. It is ideal for your office environment. Small and medium-sized businesses (SMBs) today expect a higher level of performance from their networks—more connections to support diverse applications and easier management. The GS1920v2 Series is ideal for SMB deployments in multiple scenarios by providing up to 28 Gigabit copper ports for 24-port models or up to 6 Gigabit fiber ports for 48-port models to futureproof the network for growth. 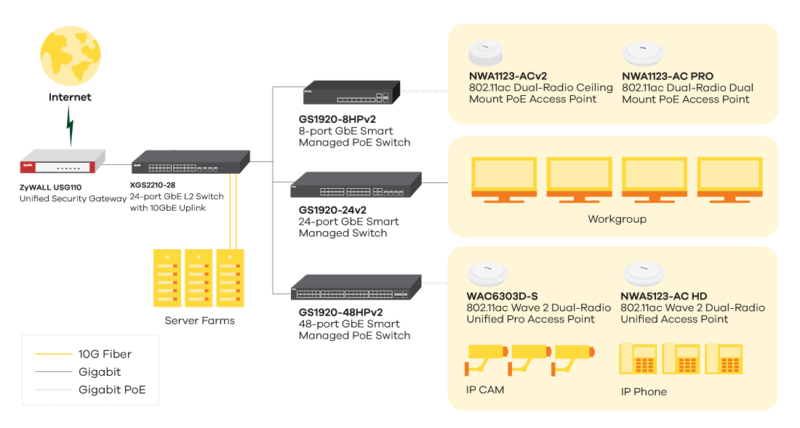 The GS1920v2 Series PoE switches support 802.3at PoE Plus standards to offer 30-watt per port and a 375-watt high-power budget to meet the needs from power-hungry devices. The default consumption mode allows delivery of only the actual power required by devices connected to the switch for better business ROI. The user-friendly PoE consumption indicator located on the front panel and Web GUI to provide real-time power utilization. * Cloud management mode supports features. Warranty terms, service availability, and service response times may vary from country or region to country or region. 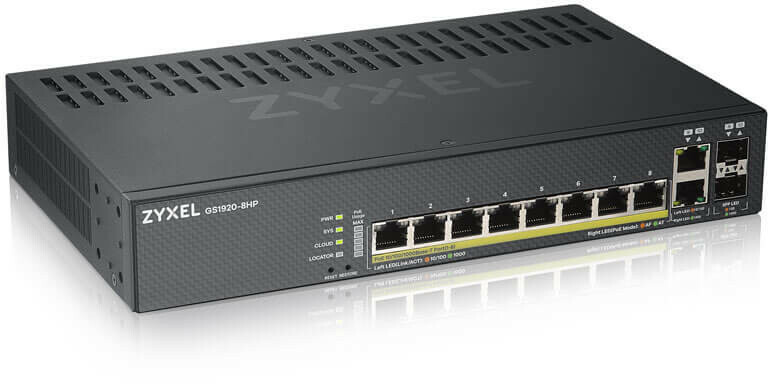 Download the Zyxel GS1920 Series Datasheet (PDF).